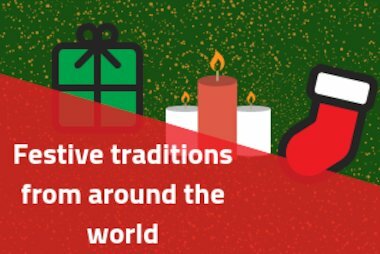 Some Christmas traditions are common across countries and cultures, even if they have their slight differences. Most of us exchange presents, most of us eat certain foods, most of us have a version of Father Christmas. 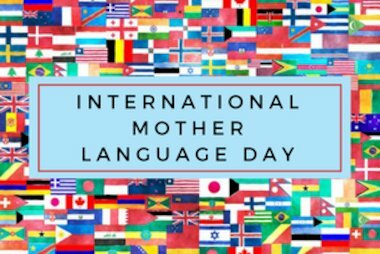 However, some weird and wonderful traditions are very specific to one or two countries. Let’s have a look at some of the popular Christmas customs from the English-speaking world! 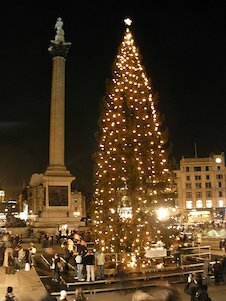 Trafalgar Square in London is famous for its enormous Christmas tree, which is a gift sent to the UK from Norway every year. The tree is normally over 20 metres tall, and decorated with 500 lights! Thousands of people go to the official ceremony to switch on the lights, which takes place on the first Thursday in December. The tradition of wearing ugly Christmas jumpers was considered embarrassing until recently, but now they’re very popular. 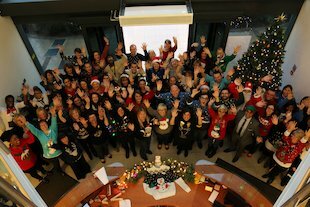 In the UK, National Christmas Jumper Day encourages people to wear their biggest, brightest, craziest jumper to raise money for charity, while in the USA there are Ugly Christmas Sweater competitions every year. Some people who won’t be wearing a Christmas Jumper are those in Australia and New Zealand! 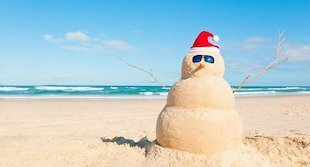 When we think of Christmas, most of us also think of winter and snow, but for our friends down under Christmas comes right in the middle of their summer. Christmas dinner is Australia is therefore typically a barbecue! Hogmanay is the Scots word for the last day of the year, and celebrations in Scotland are some of the biggest New Year celebrations in the English-speaking world, with huge fireworks displays and marches through the streets carrying fire torches. 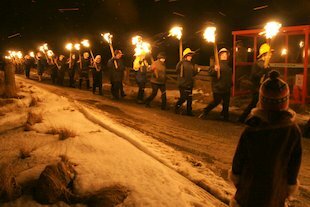 Up Helly Aa is also a Scottish celebration involving a lot of fire – it’s a fire festival at the end of January to celebrate the end of the Yule season, with processions through the streets and a ceremony to burn a Viking boat! 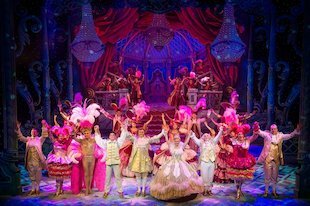 Going to the pantomime at Christmas is traditional for most families in the UK. The pantomime, or ‘panto’, is a comedy play that often tells a familiar fairy tale story such as Cinderella or Snow White. The play is full of jokes, and the audience is encouraged to participate by shouting out where certain characters are ‘hiding’ on the stage! 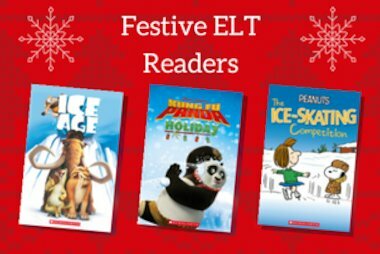 What are some of your students’ favourite Christmas traditions? Why not see if you can come up with some new traditions, or organise your own Ugly Christmas Jumper competition!